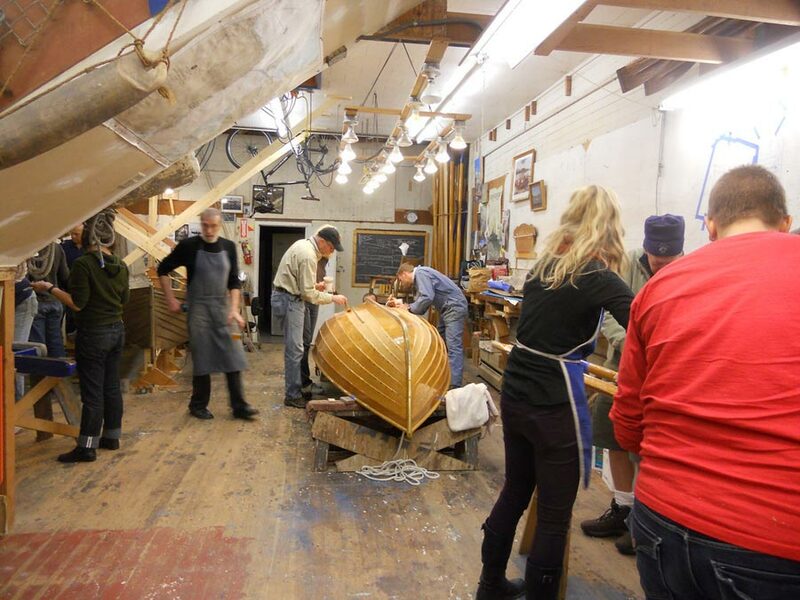 Every Tuesday evening from 6 pm to 9 pm, volunteers gather in the Dolphin Club boathouse to hammer, sand and varnish under the guidance of boatbuilder Jon Bielinski. Mostly there are smaller projects, like scraping, sanding and revarnishing. 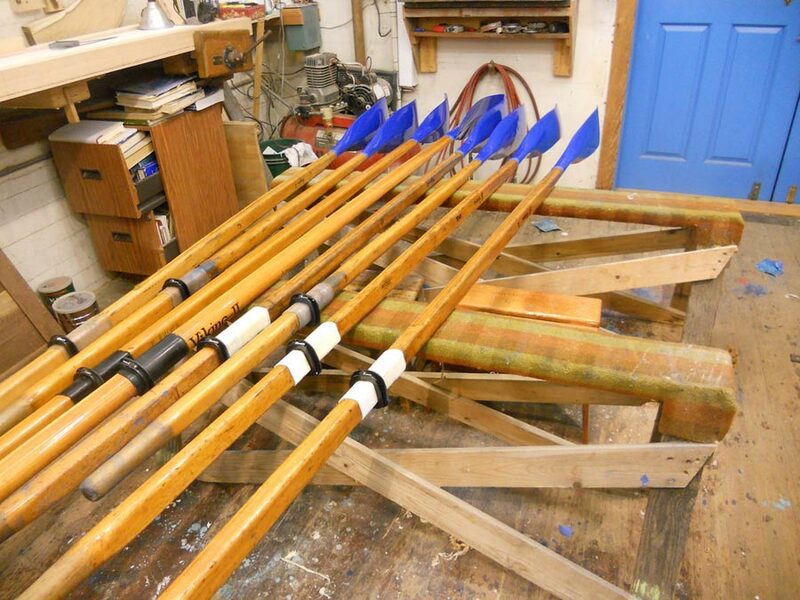 New sleeves are put on oars and there are chips and cracks to be repaired. 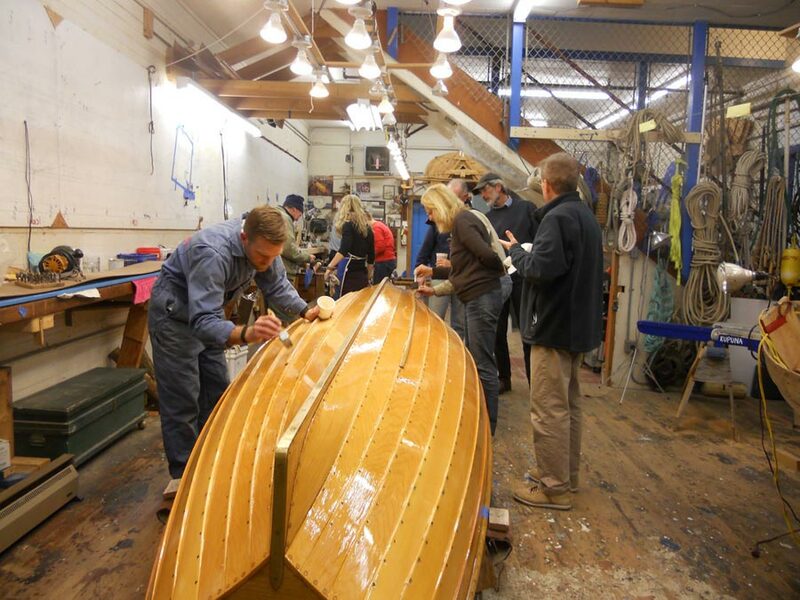 There is lots of work for everyone who cares to participate, from entry level to fine woodworking and everything in between, and if you come to enough boatnights, you learn to build a whole boat. The hard work is followed by a gourmet dinner prepared by volunteers in the Dolphin Club galley. Boatnight was established by Jon in 1984. 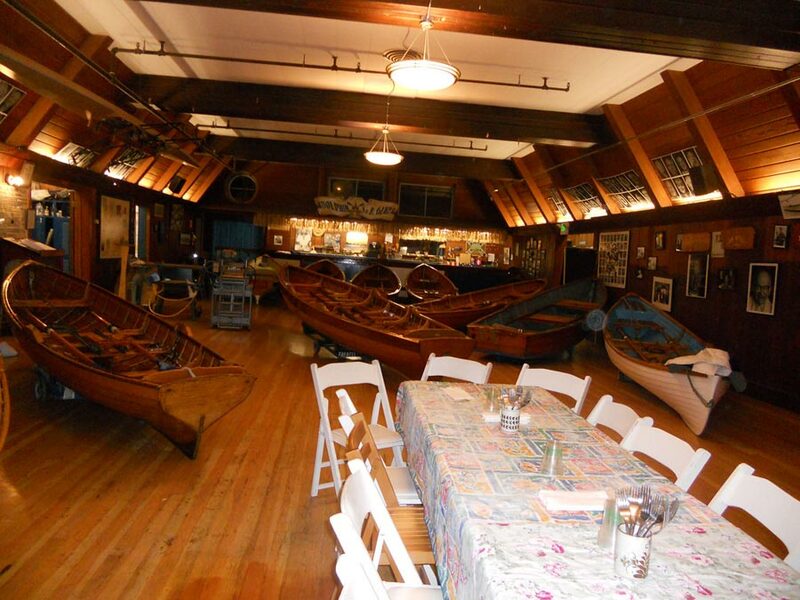 Before that, the club hired a boatbuilder every 40 years or so to repair the boats. In the 50s, it was a man named Bill Richards, who used to be a ship carpenter on a square rigger. After Bill fixed all the boats and there was no more work to do, he left and the boats slowly fell into disrepair again. 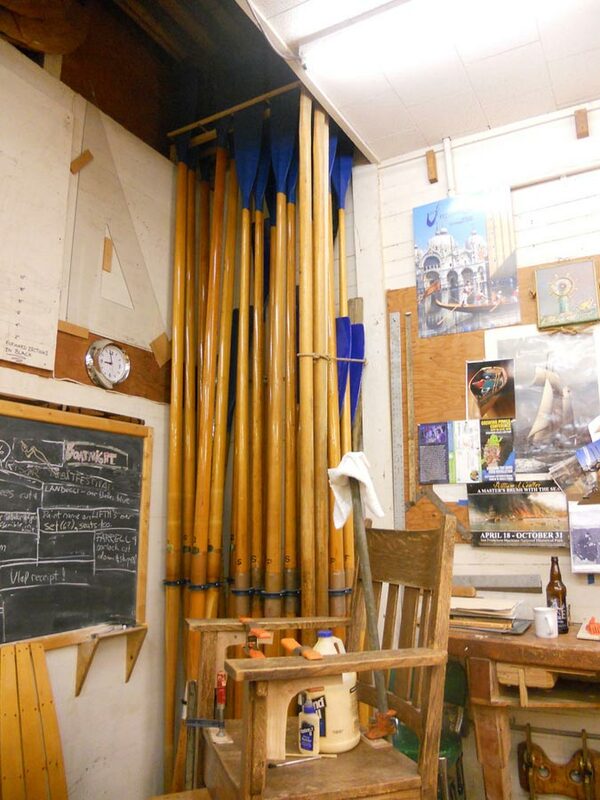 When Jon began his work in 1983, the fleet was in bad shape and he realized it was because the clubmembers didn’t know how to take care of the boats. And so boatnight was born. The biggest ongoing project has been the rebuilding of the “John Wieland”, which was re-launched in 1997 after a 5- year overhaul, much of it accomplished during Tuesday nights.